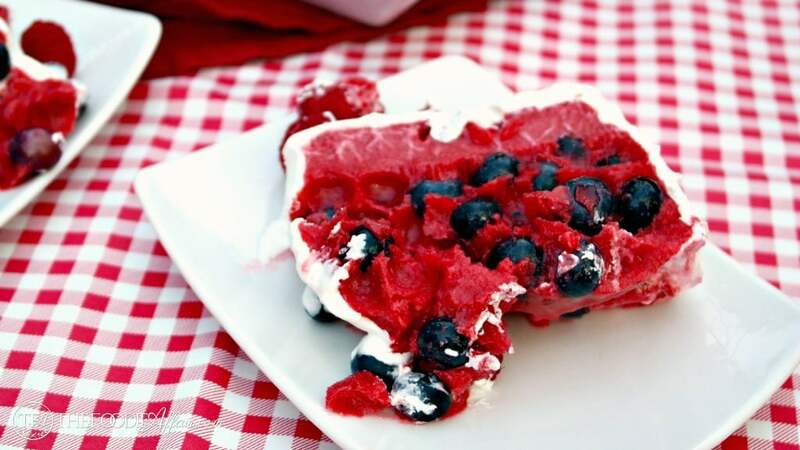 Quick, easy and refreshing Raspberry Sorbet Cake with Blueberries is the perfect addition to your red, white and blue festivities! Fourth of July or Independence Day in the United States is one of the most festive holidays to show your patriotism! From flying the American flag (I keep mine up all year! ), to attending parades, family gatherings, and enjoying the full day at the park or beach are some of the fun activities you might enjoy! If you are lucky to live in an area where your town supports fireworks, then you’ll have an evening of booming explosives that light up the night too! Raspberry sorbet and other holiday desserts! Let’s not forget the fun food that gets made during this holiday! There are several recipes that I like to share during the Fourth of July weekend. Crowd pleasing fruit salsa, Patriotic Chocolate Covered Strawberries, Berry Tiramisu Cake, Texas Sheet Cake, and some fun Red, White and Blue Layers Shot Cocktails! 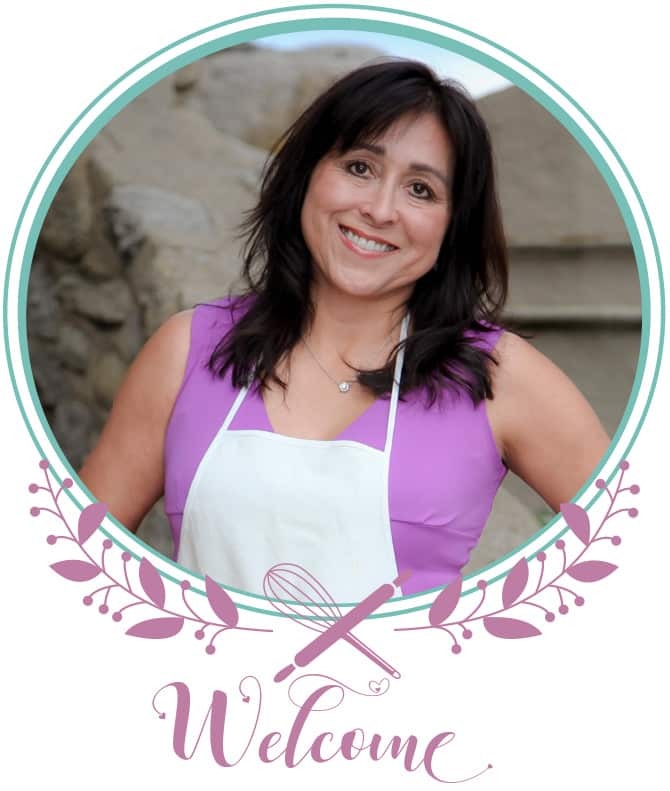 This year I’ve added to my recipe arsenal a refreshing and delicious sorbet cake! No baking or special equipment is needed to put this together. You just need room in the freezer for this to set, so clear out a spot for this to set undisturbed for a couple of hours! You can use any brand of sorbet, but if you haven’t tried the Roman Raspberry sorbet from Talenti give it a try! It’s a treat and their tagline “better ingredients make happy spoons” is deliciously true! Again, any prepared whipped topping will do. Have you tried Truwhip? Truwhip is a pre-made topping that’s found in the ice cream section, but this brand is not made without high fructose corn syrup. I’m so glad to see that this product is expanding their base from speciality stores like Whole Foods to more common grocery outlets. 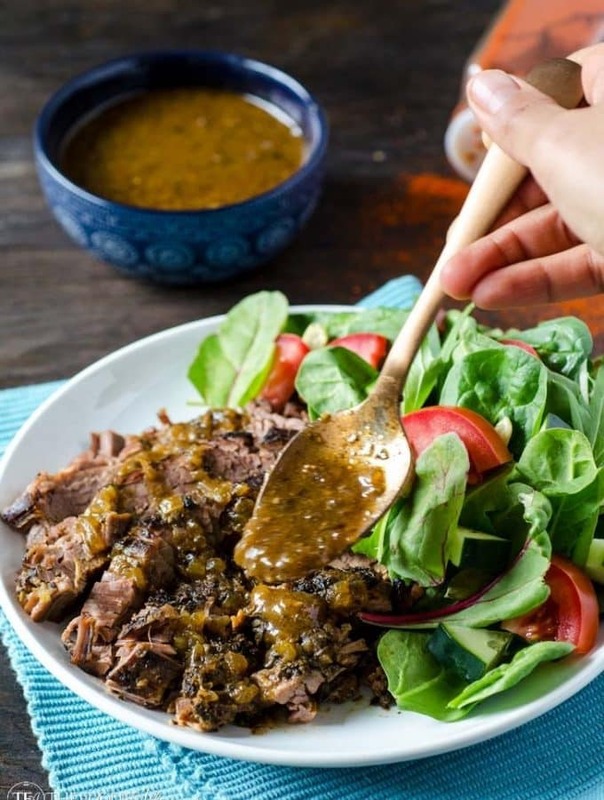 This isn’t a sponsored post, I just happen to be happy with the flavors I used for this recipe! Use what’s available in your stores or make fresh whipped cream for the icing! Have a safe, fun weekend and eat yummy foods! Let the sorbet sit at room temperature for 10-15 minutes. Line a loaf pan with parchment paper with enough paper to stick out of the pan 2-3 inches. Spoon in 1 pint of the sorbet into the pan and spread until it is evenly distributed. Add a layer of blueberries and top with the additional pint of softened sorbet. Freeze for two hours. Bring the sorbet cake out of the freezer and let sit for 5 minutes. Gently loosen the sides that aren't covered with parchment paper with a knife. Gently pull up the frozen sorbet cake by the parchment paper. Place on a serving platter and remove paper. Frost with whipped topping and return to the freezer for at least 1/2 hour. Remove and garnish with remaining fresh fruits. Slice and serve. What a gorgeous summer dessert! Perfect way to cool down on the 4th, too. Hope you have a wonderful holiday, Sandra! Very pretty and perfect for this weekend!! Happy 4th! 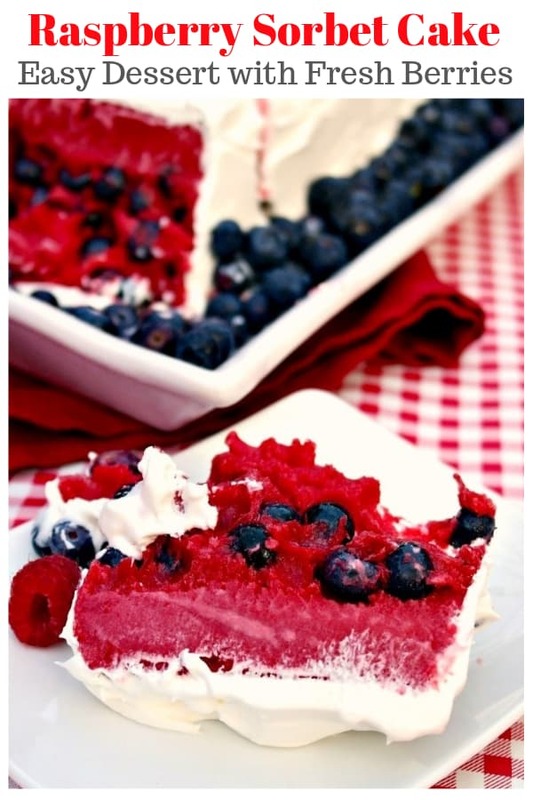 This is so pretty, perfect for the 4th of July holiday! 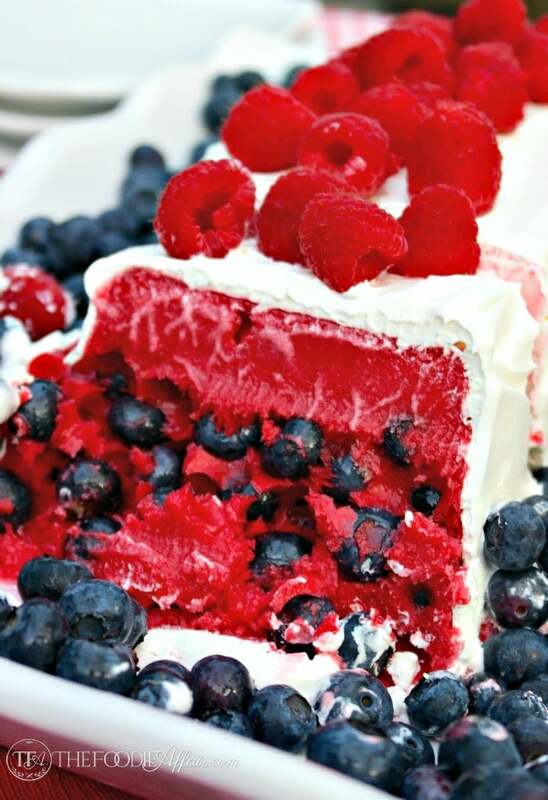 This cake definitely goes with the red, white and blue theme for the Fourth of July! Thank you, Rini! I enjoyed putting this together. It sure is pretty to serve for guests! That color of the sorbet is just gorgeous! Great idea for a cooling dessert! I love the deep red color too, Christine! I was on a hunt for a bright colored sorbet and this just popped out! This is one of the most beautiful cakes!!!! Wow you did an incredible job I need to make this!!!! Please do give this a try! It’s very easy to put together, tastes delicious and doesn’t it look so festive?!! 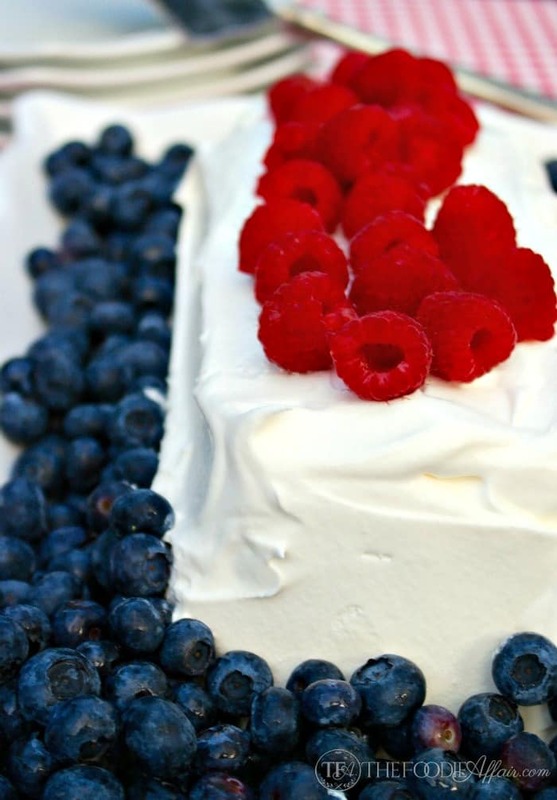 This cake is stunning and perfect for the 4th! Yum! Thank you 🙂 Hope you had a wonderful weekend, Christina! Sandra, This is genius! I love the deep red sorbet and the blueberries with whipped cream. Oh so good, and SO pretty for the Fourth of July! Thanks, Diane! I try to come up with something to share during the holiday weekend. This sorbet cake was a hit! Cool, refreshing and luscious. Perfect for a summer day. Plenty sweet and so refreshing! I love enjoying sorbet during the warm months of the year! Gorgeous photos. I will keep an eye out for that sorbet. The color is amazing! It’s it pretty, Lydia! I took a double look at the ingredients to make sure they didn’t add any coloring – NOPE! None! Yay! This looks amazing! It also looks pretty simple and quick! I love that!!!! Hi Karen! Definitely a no-fail dessert and it’s soooo good! What a great idea- I would never have thought of this! It would be an excellent summer dessert! Thanks, Jessy! I’ve been keeping it cool in the kitchen lately! Very patriotic and festive cake! It must tasted deliciously! Wow, this looks so refreshing and tasty! YUM! 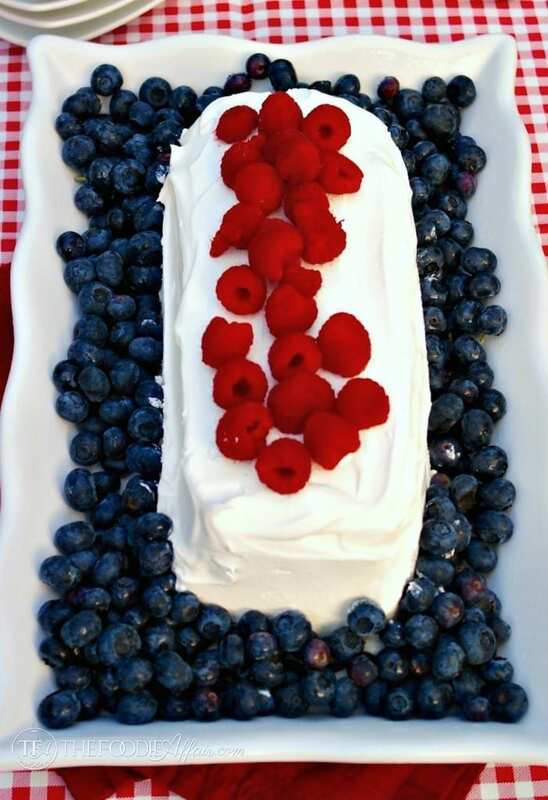 What a fun and easy idea that I will have to keep in mind for next 4th of July celebration! Simply delicious! This looks delicious! I am bookmarking to serve Labor Day Weekend…thank you! Enjoy! It’s always a hit when I make this sorbet cake!